TOKYO, Apr, 10 2019 - (JCN Newswire) - Mitsubishi Motors Corporation (MMC) will be exhibiting a number of models to an "Urban Ambitious Life" theme at the 18th Shanghai International Automobile Industry Exhibition(1) to be held from April 16 through April 25. MMC is joined at the Show by its local production and sales joint-venture GAC Mitsubishi Motors Co., Ltd. (GMMC)(2). At its stand, MMC will be holding the Asian premiere of the MITSUBISHI e-Yi(3) CONCEPT next-generation SUV concept model. This concept showcases MMC's electrification and 4WD technologies, two of MMC's main strengths, together with its Advanced Driver Assistance System (ADAS). Joining the concept model on the stand will be the Eclipse Cross and Outlander models that the company produces locally in China. Under the GMMC brand, the Eupheme EV and Eupheme PHEV electric models launched in the Chinese market last year will also be on display. These models stir driver and passenger curiosity and a sense of adventure as they seek to go further and take a step beyond anything they have experienced before. (1) April 16 and 17 will be Press Days and April 18 and 19 will be Trade Days; from April 20 to 25 the show will be open to the general public. The show is being held at the National Exhibition and Convention Center (Shanghai). MMC will hold its press conference from 11:00am on April 16, local time, at the MMC stand in hall 7-2. (2) A joint venture between the Guangzhou Automobile Group Co., Ltd. (GAC), Mitsubishi Corporation and MMC. (3) The "e" in the name points to Electric, as well as to Explore, Experience and Engage. The second "Yi" in the name is the pronunciation for the Chinese character, meaning strong, robust, durable, meaning beautiful. 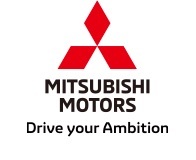 Mitsubishi Motors Corporation is a global automobile company based in Tokyo, Japan, which has a competitive edge in SUVs and pickup trucks, electric and plug-in hybrid vehicles. The company launched the i-MiEV - the first mass-produced electric vehicle in 2009, which was followed by the OUTLANDER PHEV in 2013 - a plug-in hybrid market leader in Japan and Europe. Mitsubishi Motors has 30,000 employees and a global footprint with production facilities in Japan, Thailand, China, Indonesia, Philippines and Russia. Models, such as the PAJERO SPORT/MONTERO SPORT, TRITON/L200 and OUTLANDER play a major role in achieving its growth. The global sales volume in fiscal year 2017 was 1,101,000 units, and the net sales of Mitsubishi Motors for fiscal year 2017 was 2.19 trillion yen. Mitsubishi Motors is listed on the Tokyo Stock Exchange.